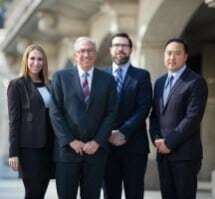 Located in Chicago, our lawyers at Strom & Associates, Ltd., have more than 50 years of combined experience handling personal injury and workers' compensation cases. We have decades of experience helping individuals from Cook County and throughout Illinois, northwest Indiana and southwest Wisconsin. Our law firm is committed to helping victims recover after an accident or injury, and we can help you, too. At Strom & Associates, Ltd., we have a large Spanish-speaking staff, and we can help you discuss all of your legal options to find the best outcome possible for you and your loved ones. We are skilled litigation attorneys, and have helped our clients receive million-dollar settlements and awards. Our law firm knows how challenging life can be after an accident. We can protect your rights and fight on your behalf to get you the compensation you deserve.